Millennials may be willing to sacrifice extra square footage in a home and even features like an outdoor kitchen or two-story foyer. But there’s one thing they say they aren’t willing to sacrifice in a new home: A separate laundry room. A separate laundry room clearly topped the list when the National Association of Home Builders recently surveyed millennials to discover what their “most-wanted” item on their home shopping list was. Fifty-five percent said they wouldn’t buy a new home that didn’t have a separate laundry room. They also ranked storage as important, such as linen closets, a walk-in pantry, and garage storage. With the laundry room weighing so much on millennials’ buying decisions, you may want to take a closer look at the way you’re presenting the laundry room in your listings. Could it use a freshen up? And if it’s such a selling point, you may want to add a photo of your staged laundry room to your MLS photos. 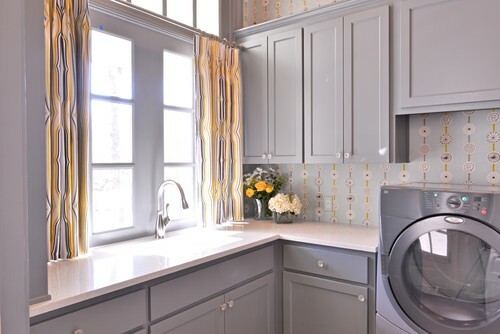 Take a look at some of these photos from the remodeling site Houzz to get ideas on freshening up your listings’ laundry rooms. Fresh flowers, bright colored curtains, and even wallpaper behind the cabinets may make the space more inviting. Wherever there are cubbies, add wicker baskets. Hang a few clothes on wooden hangers to show off the storage options. And if the storage options even include a place for the family’s pet, accent that in a lower cubby too with a stylish pillow cushion. 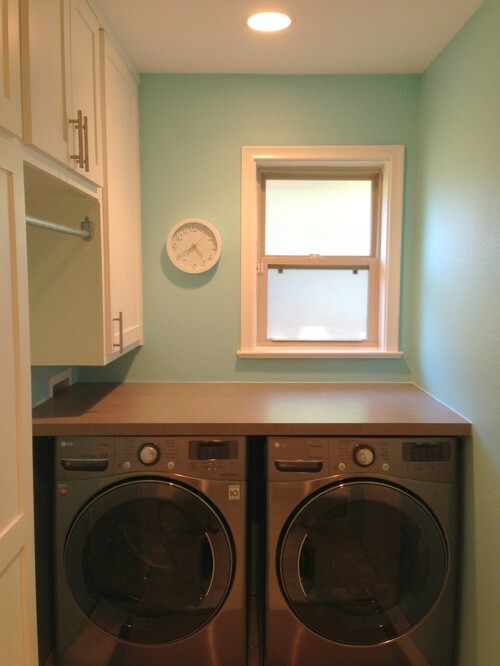 If the laundry room is small, add a wooden block over the washer and dryer to squeeze in a folding station. 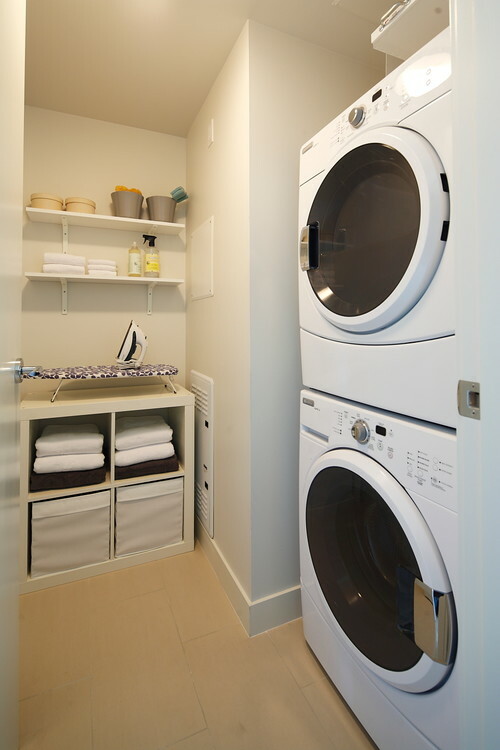 Stack a washer and dryer to maximize space in a small area and to make room for some cubbies and shelves. Keep the shelves neat and staged, such as by folding light-colored towels. Keep the laundry accessories displayed to a minimum. 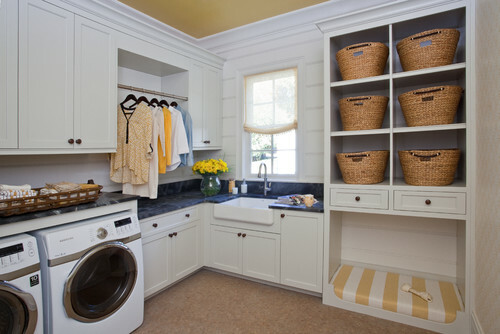 I love all these different styles of laundry rooms! Thanks for sharing. 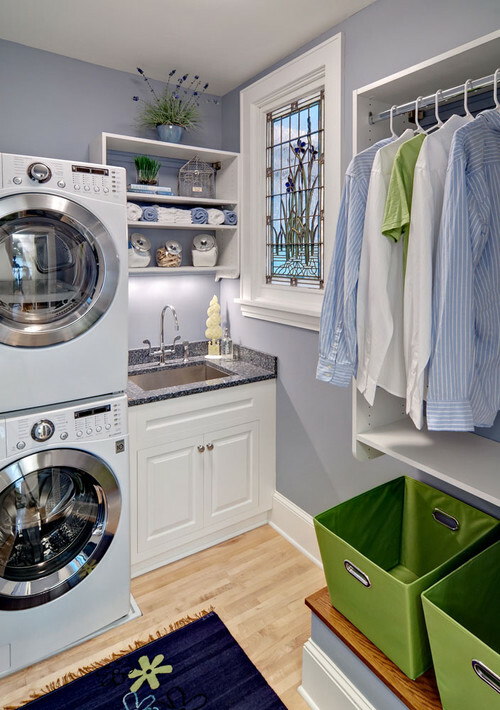 Great ideas; laundry rooms have more than one use today and are more attractive even if it’s located in basement. Will keep this in mind when staging. Thanks. A nice big counter to fold freshly washed and dried clothes on becomes almost a necessity once you’re used to it. We bought two workbenches with slick tops for our laundry room, and I love them. We also bought a matching wall cabinet to hold detergent and other laundry products. I put gardening things in this room, too, because there is a nice big window at which I can put plants. We keep a light on a timer over the plants.